31st of August 2007 brought you into our world, and since then you have continuously blessed us with your beautiful voice and gorgeous looks. I can’t believe that I have listened to 10 years of your songs, it feels like only yesterday I became aware of your existence and instantly fell in love. Since then I’ve bought numerous goods and CDs, and even came to see you live in Osaka in 2014. 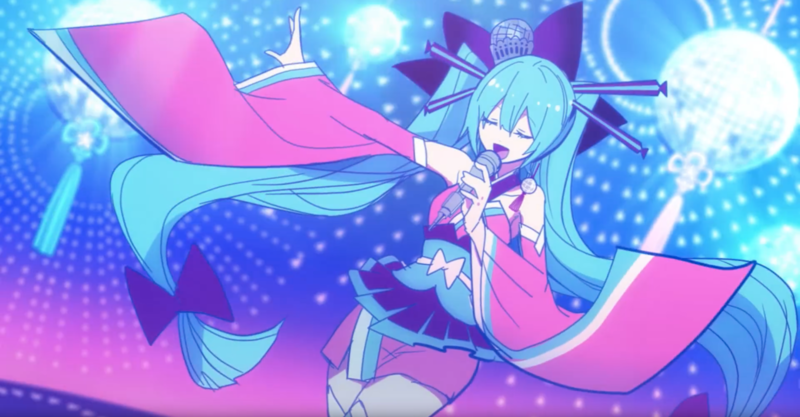 Lets look back at all the amazing songs you’ve brought to us – the creators using Miku and other Vocaloids to entertain and empower fans all over the world! Every year a bunch of snow sculptures are constructed in the Ōdōri park in Sapporo. This year is the 66th Sapporo snow festival and we (Amy and I) had the opportunity to experience it first hand. To start of, I would like to say that with big events like this, it is important to book hotels and flights early. I booked everything around the middle of November and that was apparently too late by Japanese standard. All the affordable hotels in Sapporo city were booked out, so the best I could find was a Toyoko Inn in the nearby city of Tomakomai, which is 1 hour away from Sapporo by train. But that was ok and well worth it in the end. Happy birthday Miku!! You have been with us for the past 7 years, singing amazing songs which we will remember forever. And of course good work with the concert yesterday. It was amazing! This year was the second Magical Mirai, this year held in both Osaka and Tokyo. Together with Tac, Dale, and Mary we went to see Miku preform live on stage. But not only did we get to see an amazing performance, but there was also an exhibition of Vocaloid related art, goods, and other things. You can also read the congratulations from my friends Ruben and Clara on their blogs. On a side note, there has been news recently of the new english voice bank for Miku in Vocaloid V3. Its sounds rather good, still feels a bit weird to hear Miku speak english though. To learn more about it you can go to the Vocaliod Wiki, or listen to a song on YouTube. I would like to wish all my friends, mates, pals, bros and buddies a very very Merry Christmas!!! Here is a vid of Miku singing Merry Christmas and thank you. My ClariS can’t be this cute! I made this as a music monday a few weeks ago. Copy pasta from the Anime@UTS website. Hello and welcome to the first thrilling episode of Music Monday with your host JamieJakov.